You can print on plain paper envelopes in this size: No. 10 (4.1 × 9.5 inches [105 × 241 mm]). 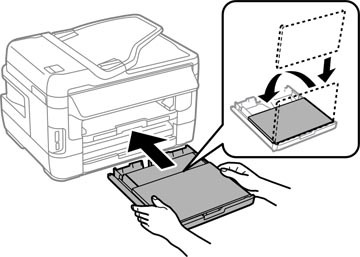 If your product has two paper cassettes, you can load No. 10 size envelopes in Cassette 1 only. 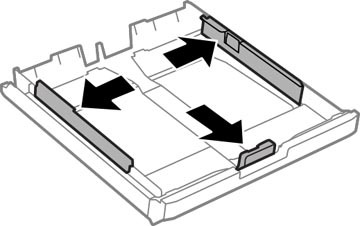 Pull out the paper cassette and remove the paper cassette cover. 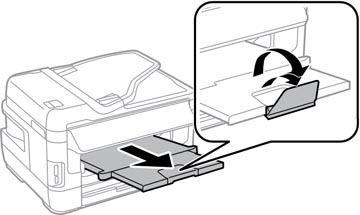 Load envelopes printable side down and flap edge right as shown. 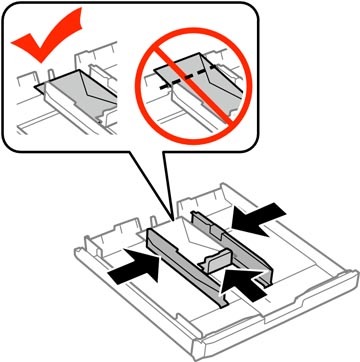 Note: Make sure the envelopes are loaded against the edge guide and not sticking out from the end of the cassette. 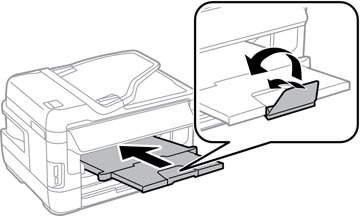 To prevent paper feeding problems, make sure you do not load too many envelopes in the cassette. 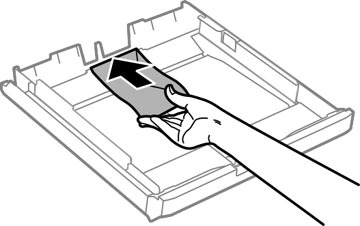 Close the paper cassette cover and gently insert the paper cassette. Note: The envelopes may slide forward slightly as you insert the cassette. This is normal. 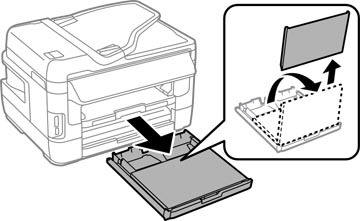 When prompted by the product's LCD screen, select Envelope #10 for the Paper Size and Envelope for the Paper Type, and select OK. If print quality declines when printing multiple envelopes, try loading one envelope at a time.